Home → About Allied Membership → Welcome New Allied Members! Welcome to the Caribbean Tourism Organization (CTO)! We are honored to have you as a part of our regional membership organization. As a member of the CTO you will have the opportunity to influence the direction of the Caribbean tourism industry while taking advantage of a range of exclusive benefits. More importantly, the CTO is focused on providing you with access to vital information which will enhance your ability to connect with your customers and develop your business. We appreciate your interest in the success of the Caribbean’s tourism industry and we look forward to helping you use the power of CTO’S membership to grow your own business. Stay up-to-date with us on our social media pages by clicking the icons on the bottom of this page. If you have misplaced or forgotten your login, please contact Sharon Coward ([email protected]) to receive a new password. Review your welcome kit – you should get it in the mail approx. 2 weeks after your membership has been approved. Send us your website details, social media links and other collateral information to be added free to our membership directory. Enquire about how you can be a CTO featured member. Ask us how you can represent the Allied members on the Executive Committee and Allied Board. Ask us how you can contribute your expertise by joining a CTO Technical Committee and help shape our programming. Familiarise yourself with the CTO website, we have a lot of information here to share. Log in to the members only OneCaribbean.org to access relevant industry data to help develop your business strategy. 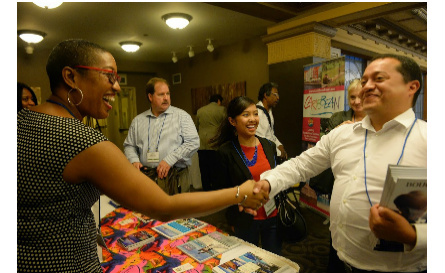 Attend a CTO event such as our annual State of the Industry Conference or Caribbean Week and network with other stakeholders in the Caribbean tourism industry. To view past conference papers click here. Contact the Membership Department to discuss how CTO can help you to build your business. Stay connected with us through CTO’s social media communities on LinkedIn, Twitter and Facebook.